Home > Aspire > Aspire Mod > battery mod > e-cigarettes > NX30 Mod > vape mod > What Memory Does the Aspire NX30 Mod Evoke? Yes, today I would like to introduce to you a vape mod I like, a Battery mod that will remind you of many stories. Then it is the NX30 Mod from Aspire. Why does it make me feel this way? Next, let me explain it to you. How about the Aspire NX30 Mod? 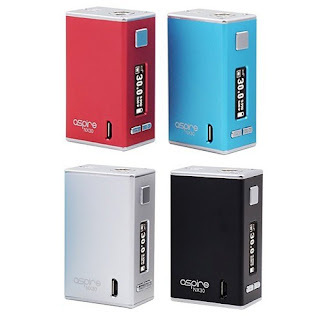 The Aspire NX30 Mod is powered by a 2000mah battery and can reach a maximum output of 30W. With this large-capacity battery, it can not only support your long vaping, but also provide you with a strong output. It is a 510 thread interface, so you can use 510 thread Tank with it, so it is very compatible. There is a 0.86 inch OLED display on the side of the mod, so that you can intuitively understand the mod output information and battery status. In addition, NX30 also has a fire button that can be pressed by one finger, which is very comfortable to use. Of course, you can also freely set the parameters and modes you want through two adjustment buttons. It must be said that the edge of the NX30 Mod is handled very carefully, so it will feel very comfortable to get fit on the hand. Finally, what I want to say is that its shape really reminds me of a matchbox. Do you have the same idea? So each time I saw it, I remembered the years when I used a match to smoke. Although I have used e-cigarette for many years, I have never forgotten that memorable experience. So what's your story? Can you leave a message for sharing with me?